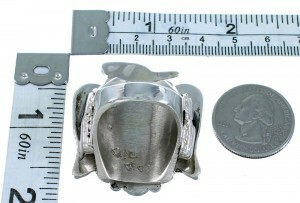 Ring is size 11-1/4, it measures approximately 1-5/8" long and 1-1/2" wide. 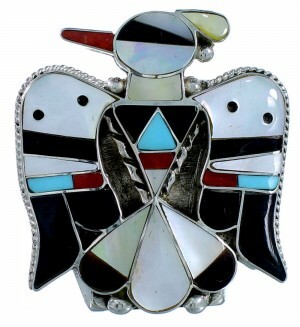 This ring is a Zuni classic! 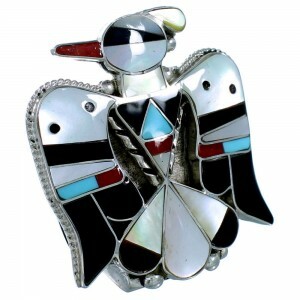 This piece of Native American jewelry is Zuni hand crafted by artist Bobby Shack, out of genuine sterling silver and real multicolor inlay. The inlay consists of: Turquoise, Coral, Jet, Brown Shell, along with White and Yellow Mother of Pearl. The inlay is gently set, and creates an amazing Thunderbird design. Twisted silver and mini silver beads accent the ring for a fantastic finish. 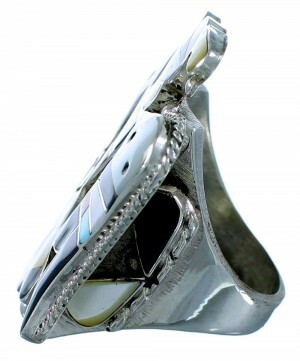 The ring is stamped sterling, Zuni, and is hallmarked by the artist.